Shortlisted for the NCCPE Engage Awards 2016 in the Working in Partnership category. Boingboing is a network and a social enterprise working with young people exposed to social inequality to improve and enhance positive mental outcomes by building resilience and to give them a voice and the ability to influence change. The organisation provides opportunities to learn about resilience, running regular forums, developing resilience frameworks and offering training and talks on resilient approaches to life’s challenges. The organisation, the central partner in the project led by Anne Rathbone, comes from a position that there is not enough access to practical tips to help children, young people and adults to beat the odds of inequality they face. Boingboing provides ongoing, structured support for those individuals with an identified need and takes proactive action to tackle perceived unfair practices by governments and agencies. This particular project is a partnership between Boingboing and the University of Brighton. It set out to translate the theory of resilience research into accessible, practical support for parents, carers and young people themselves. Ollie Gibbs and Taylor Morrison-Eaves. Dave Wolff, Ceri Davies and other members of the Community University Partnership Programme at the University of Brighton. Scott Dennis, Becky Heaver, Caroline Hudson, Josie Maitland, Julia Roberts, Nick Gant and Josh and the Recovery College at Sussex Partnership NHS Trust, its staff and volunteers. Establish a community of people who identify as, and/or work alongside, disadvantaged young people and their families/friends. Help that community of people to build resilience together in order to “beat the odds and change the odds” and help others to do so. Pool knowledge held by academics, practitioners, young people, parents and carers together to co-produce research. The Boingboing network is based at the University of Brighton and comprises people from all walks of life, including academics, parents, young people, practitioners and service users, who find the concept of resilience useful. The group launched in 2005 with just three people, led by Professor Angie Hart, and started out by completing a scholarly literature review of the resilience research base. Curious to know why some children facing similar difficulties and ongoing social disadvantage did better than others, the group’s findings, together with their own practice and parenting experience, resulted in the creation of Resilient Therapy to translate the messages from resilience research for parents, practitioners and young people to use themselves. Since its launch the group has continuously refined and tested its resilience framework. The overriding motivation for the group remains a clear interest in helping children and families living with persistent difficulties and disadvantage do better than might be expected. Such situations may include those where the level of social and economic deprivation feels overwhelming, or where practitioner or parent morale is low and it’s hard to see what can be done next to shift things for the better. The group is committed to including in its work partners from a wide range of settings in order to swap and develop knowledge and skills and identify effective ways to link teaching and research with real community issues. Boingboing Youth Participation started in 2014 and is funded by upwards of £500,000 from the university, the Arts and Humanities Research Council, Big Lottery Fund, Economic and Social Research Council, European Framework 7, and local councils in the UK and overseas. The research team was keen to engage with those invested in the well-being of disadvantaged young people. This included young people themselves alongside anyone directly working with young people, their parents, carers, teachers, and health practitioners (e.g., psychologists, general practitioners, foster carers). The project also engaged with people through routine training programmes, time-limited community of practice research and ongoing resilience forum. 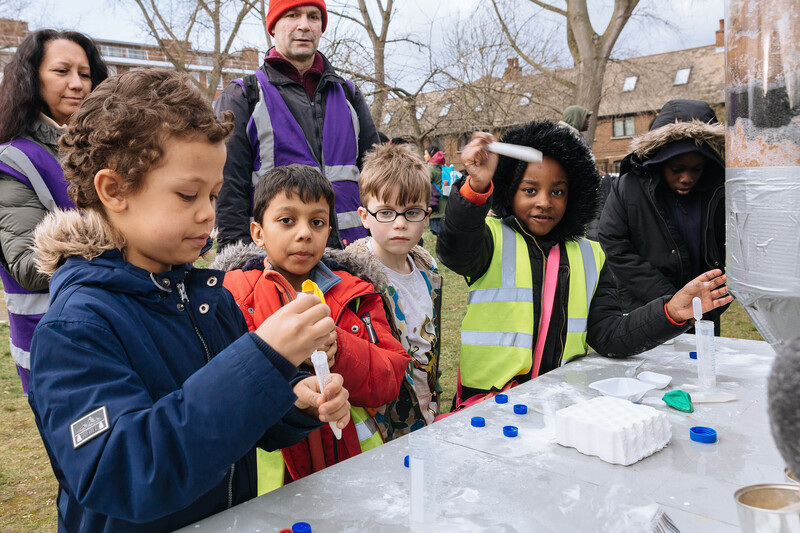 The focus of all Boingboing research is to engage with community members and young people to identify how to build resilience within the community and young person. Testing and refining approaches developed is key and engagement occurs through communities of practice, focus groups, surveys, and training events, building capacity within individuals and communities. The project collaborated with significant groups looking to promote mental health. 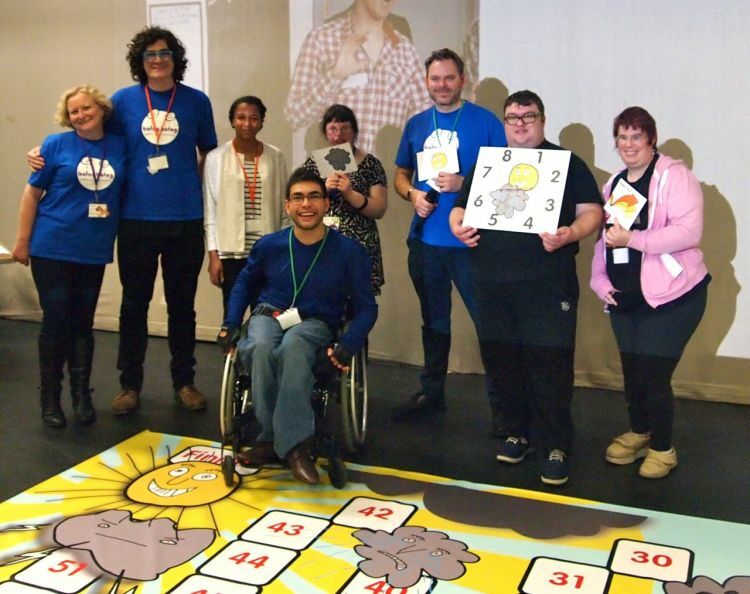 In the UK, these included YoungMinds, Mind, Arts Connect, and 16 local authorities including East Sussex County Council, Blackpool City Council and Newham Council. Overseas involvement included members of Rethymno Child Development Centre in Greece, three local councils in Sweden, orphanages in Malaysia and the Ministry for Family in Turkey. All are involved in an effort to develop collaborative relationships that lead to lasting change. The project marketed its research via website and Twitter feeds, along with a mailing list and monthly newsletter. A monthly resilience forum attracts around 35 people from all walks of life and the University of Brighton has also recruited PhD students because of Boingboing’s reputation for co-productive resilience research. In keeping with the evaluation protocols of all Boingboing projects, evaluation of this research initiative has been carried out through routine surveys, focus groups and participant observation. Fourteen PhD and masters studies have addressed Boingboing’s work and a facilitated Academic Resilience Approach has been implemented in conjunction with YoungMinds in 52 schools across four local authorities with independent evaluation. Feedback indicated that the project has been highly effective. Staff commented on the transformative impact of the Academic Resilience Approach on the school environment and were very positive about how the project was delivered. Some schools had utilised their action plans developed through the project to address OFSTED inspection requirements. Changes were seen in people’s understanding but also in their attitudes. Communities of practice have all been evaluated including through a current ESRC grant. The application of Resilient Therapy has been evaluated by Mind and YoungMinds as well as by the Boingboing group. Each evaluation informs practice. For instance, a co-productive PhD study exploring Resilient Therapy’s use by fostered young people found that they greatly valued Resilient Therapy. Resources for carers were produced by young people and are available free. Similar resources were developed from a PhD study with young offenders. Research on time-limited communities of practice resulted in changes being made to the ways in which they are delivered in future. More than 120 community partners and service users were closely involved in the co-production of the research and for many of them this changed their roles in the community as they were central to the production and use of tailored training materials, self-help guides and courses. For example, a young person self-harming no longer self harms as a result of their involvement. In future, support must be given for more disadvantaged Boingboingers more systematically. Boingboing’s youth participation work has had an international impact, changing services in Greece, Sweden and Germany. Resilient Therapy co-delivered training has been delivered to ten local authorities in the UK, leading them to adopt and adapt Resilient Therapy. Examples include Newport, West Sussex, and the London Borough of Newham. In Brighton Resilient Therapy is used as part of a common set of skills now required by everyone working or volunteering with children, young people and families. Boingboing has been adopted by a number of charities - Mind, Right Here Art Project and Amaze. The project has funds to sustain youth participation for at least two years. For further information, please visit the Boingboing website or listen to our interview with the project team.